We will close hospitals. We will close schools. We will close libraries and museums. We will sell off our parklands and water supply. People will sleep on the streets and go hungry. The war machine will go on. At a fundamental level government is a means for structuring the power dynamics of a given society. It is the means by which a society takes control of itself or fails to.There are centrifugal forces drawing energy to the center and centripetal forces drawing energy towards the periphery where local governments respond to social needs on a local basis. 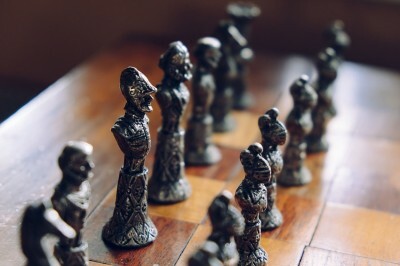 Powerful militarized States require a strong central government if they are to take charge of social and economic resources in pursuit of war. Vibrant civic life requires strong, independent local governments that nourish cultural, economic and social needs. One can’t both make war and gain the benefits of peaceful living and so one has to be thoughtful about the government one chooses to live under. Although the State has prevailed in the Western World for hundreds of years, there are some noteworthy exceptions both East and West, countries that were/are nations, not States: 1) India; 2) Holland in the 17th century; 3) the United States in the decade between 1776 — the Declaration of Independence — and 1787 — the signing of the Constitution; 4) Switzerland; 5) Iceland. In other words it is possible to have nations that aren’t States and this, I believe, should be our goal: to create a world of nations, a world that is State-free. In the winter of 1830-1831 the German philosopher Georg Wilhelm Friedrich Hegel delivered his lectures on the philosophy of history. His goal was to understand the development of civilization around the world and across time. He believed that a civilization advances and reaches its highest level of development when it is able to take cognizance of itself as a collective whole with a purpose, that is to say when it writes its history. Hegel is a Statist and his measure of the State is its ability and willingness to conduct war. A nation without war has no history and is not a State. “If China [with a strong central government] may be regarded as nothing else but a State, Hindu political existence presents us with a people, but no State.” (Hegel, 161). So here we have what we are looking for, a people with a culture and a civilization but “no history,” no war making, no State. 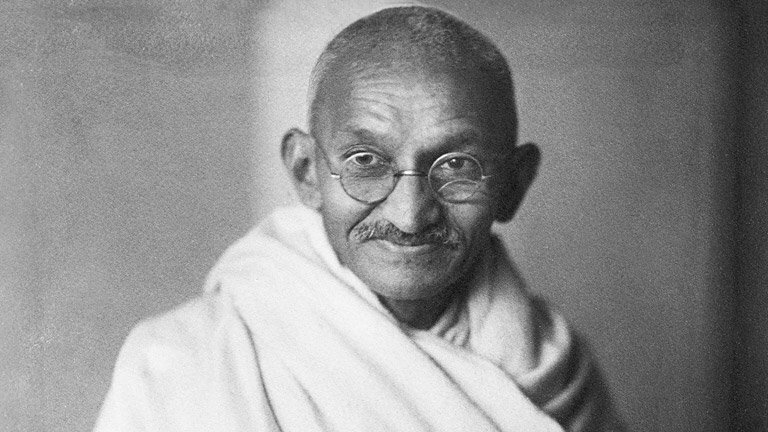 In fact, it was Gandhi’s view that the essence of Indian society was to be found not in its center but in the village life of the small, local communities. And it is the strength of these local bonds that have made the creation of a strong central government in India a constant struggle. So here we have an example of a country that is all periphery and no center, i.e., the anti-State. The first thing Nehru did when India was liberated from British rule in 1947 was to invite his Eastern neighbors to a peace conference. The nation that Nehru cobbled together was a federation of many independent political entities, each tugging at the center to grant more local independence. The diversity of sustenance farming and the village life that it engenders — for centuries the backbone of the Indian economy — are currently under attack by giant corporations that seek to set Indian farming in the direction of monoculture. Enormous spreads are devoted to corn that can be used to feed cattle in the U.S. and create biofuels that can be used to power an SUV on the other side of the world. The soil is depleted. The diet is impoverished. Indian farmers have been driven to suicide by the thousands. Neo-cons are trying to turn India into a State. They have their work cut out for them. What we call Holland would more aptly be referred to as the Republic of the Seven United Provinces or the Federated Dutch Provinces. Holland is just one of those provinces. And this is what makes the Netherlands unique. It is a grouping of strong, independent local governments that reluctantly yield to a central power in The Hague, only when necessary. Huizinga refers to this grouping as a conglomerate with no center and no periphery (Huizinga, 25). This system of government he calls “separatism” or “particularism,” words used to describe a form of government where local initiatives determine the distribution of power. The Netherlands enjoy their unique form of freedom due in part to their geography. It is not a uniform, integrated land mass but rather a collection of plots, permeated with inlets, rivers, and canals. As such it was difficult to amass large holdings and create a landed aristocracy, which means that, for the most part, the Netherlands never really passed through feudalism. They skipped right ahead to a middle class society, which is why — for a full century — they were ahead of their European neighbors economically, socially and culturally. Like the Americans a century later, the Dutch became a nation by rebelling (1568 – 1648) against a European monarch, in this case Phillip II of Spain. Like the Americans they had no standing army. Individual regiments were raised in, supplied and funded by, individual provinces. “Rarely in history was a victorious war fought by an army so decentralized. (Porter, 95) The Dutch were seeking relief from the burdens of excessive taxation and the effects of religious oppression. Phillip, a devout Catholic, had no tolerance for Dutch Calvinism. The war was run by a federation of provinces known as the “Council of States,” not unlike the United States under the “Continental Congress.” As in the United States, the war effort counted on the local provinces to tax their population and supply the funds necessary for the national defense. There was constant bickering among the Provinces, yet the Dutch united and persisted to victory despite the overwhelming odds against such an outcome. The resulting nation was not a highly centralized State with a cumbersome and costly bureaucracy but a “’peculiar jumble of medieval remains, Renaissance invention, and contemporary improvisation,’” ( Porter, 98) in other words, a non-State. As the Dutch saw it the State was a dependency of the sovereign town, not the other way round. It is no accident that genre painting — the depiction of domestic life in all its richness and homeliness —played such a large role in 17th century Dutch art. Unlike other 17th century countries built around dynasty and war, in the Netherlands it was the family household that was the “‘fountain and source’ of authority.” (Schama, 386) Foreign visitors commented upon the kindness showed both women and children. The Dutch fought a war of liberation that dragged on for eighty years. There was a twelve years’ truce that began in 1609, giving the Dutch the opportunity to develop a serious naval force, which, up to this time, they lacked. As a consequence this once peaceful nation became more bellicose and joined other European nations in colonizing Asia, the Caribbean and Africa. Had not the military element been introduced into Dutch society via the war of liberation the likelihood is that the Netherlands would have escaped the militarization that plagued the rest of Europe. As it is the Netherlands never became the typical warrior State, heavy with bureaucracy and a strong central government. Let us say they became a quasi-State . 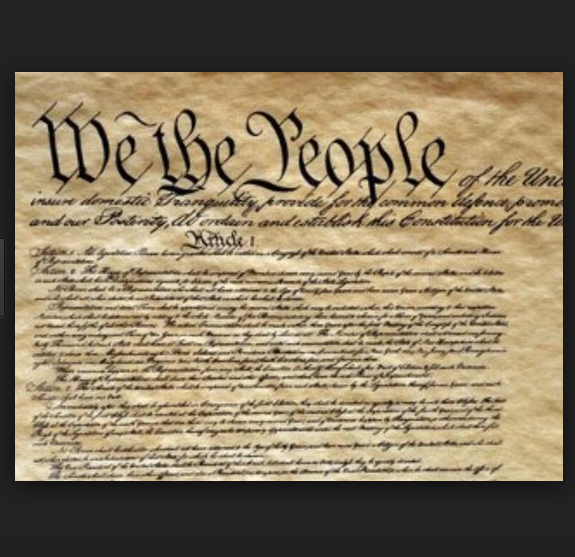 To this day they remain a nation with considerable respect for individual rights. The United States provides an unusual opportunity to observe a State in the process of its emergence. The U.S. began as a federated government in 1776, became a quasi-State in 1788 with the signing of the Constitution and emerged from the War of Secession — mistakenly referred to as the “Civil War” 1 — as a full blown State with all of its heavy duty, cumbersome and costly machinery. With the signing of the Declaration of Independence the United States became a nation. Thirteen sovereign states were loosely united under the Articles of Confederation, a “league of friendship.” There was no attempt to form a unified, united whole. Each state retained its independence and its prerogatives. States like Massachusetts had restrictive voting rights. Others were more liberal. Some states — like Virginia — had a Bill of Rights. Others didn’t. This period — from 1776 to 1788 — is one of the richest in American history. There were many thoughtful Americans whose ideas on government are as valid today as the day they were uttered. In the midst of a bitter war of liberation, there was little enthusiasm for the European version of society. Most Americans were opposed to maintaining a standing army, to the interminable warfare that empire building entails. Citizens were actively engaged in politics and resourceful in their efforts to have government respect the common good. Government was to be distrusted. Power was to be jealously guarded. The Anti-Federalists were a group of independent minded men united in their opposition to the ratification of the U. S. Constitution. They had a deep understanding of government and the potential for power to be abused. They were eloquent in their defense of democratic values and offer us a legacy of political thought to draw on as we contemplate the modification of our current government. 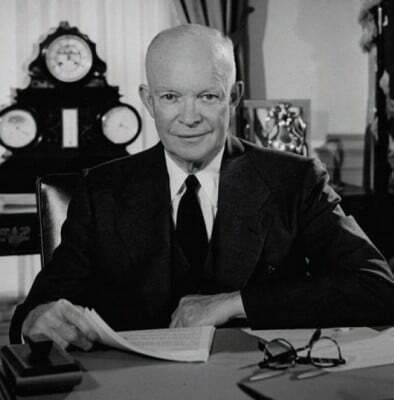 Long before Dwight D. Eisenhower spoke of the dangers of a military-industrial complex, the Anti-Federalists were opposed to granting Congress open-ended authority to maintain standing armies—“those baneful engines of ambition”(Storing, 289)—for reasons that were obvious to them almost two hundred years prior to Eisenhower. Just prior to 1860 the Federal budget was $63 million. There were a mere 2,199 persons working in the central offices in Washington, D.C. Four years after the attack on Fort Sumter, the budget had grown to $1.2 billion and the federal workforce to over 53,000 persons. The American government fielded the “most powerful war machine ever assembled in the history of the world to that date.” (Porter, 258) Lincoln mounted a million-man army that succeeded in butchering three quarters of a million American citizens and permanently maiming, another million and one half. Prior to 1860, most industry operated independently of government patronage. Beginning in 1860 that changed dramatically. The national government became the largest purchaser in the country, thus laying the foundation for the fascist State, a nation with an economy based in Total War. Six iron mills were built in Pittsburgh in one year. War transforms a nation into a State, with all of its oppressive machinery, in large measure by requiring that citizens part with their money in support of the war effort. Once the revenue generating machinery is in place, it doesn’t go away. It just gets hungrier. As also predicted, taxes and the printing of paper money did not nearly cover the enormous costs of the war, which is where borrowing comes in. The government borrowed 80% of the funds the war consumed, to the tune of $2.6 billion, leading to the establishment of a national banking system, with the central government as its hub. Under Lincoln, the government put itself above the law and engaged in acts of repression that violated the Constitution and any sense of human decency. Newspapers disagreeing with Lincoln’s war policy were shut down; their editor’s imprisoned. Public officials who spoke against the war were put in jail. Federal forces were used to quell draft riots and labor strikes. The government was under the control of a tyrannical monarch, and to a greater or lesser degree has been so ever since. Thus, in less than one hundred years, the United States passed from being a loose federation, with strong local governments responsive to the needs of their citizens, to a relatively benign quasi-State with a strong central government, to a full-fledged State with the attendant hunger for power, money and war. We have here an unusual opportunity to grasp the meaning of the word State and to understand its origins in terms of war and violence. Of all the Western oligarchies that pass for “democracies,” Switzerland comes closest to actually being one. It is a federated government of twenty-six independent cantons with strong local representation. To understand the difference between a centralized government and a federated government one has to but consider the issue of citizenship. In the United States, if you want to become a citizen you apply to the central government in Washington. In Switzerland, you apply to one of the cantons. If accepted there you are a Swiss citizen. Citizenship is a function of local, independent governments, not the central government. For the first five hundred years of its existence, Switzerland functioned without a central government or state bureaucracy. There was an alliance of burghers and peasants. There were no aristocratic families assuming control and exercising their prerogatives. Switzerland has fought wars of defense only and has done its best to remain neutral and disengaged from the various wars that reached its borders. It relies on strong local militia rather than a standing national army. It is leery of international organizations designed to participate in international power politics, and did not join the United Nations until 2002. It ranks at or near the top globally in government transparency, civil liberties and quality of life. Switzerland is an oligarchy — until 1971, an all male oligarchy — with a bicameral parliamentary government housed in the capital of Bern. Among developed countries, Swiss legislators are the lowest paid. Serving in government for them is thus an act of sacrifice, an act of citizenship. The legislature meets for four three-week periods annually. Most legislators return to their regular job for the forty weeks a year when parliament is not in session. As a consequence, the parlia­ment includes a broad spectrum of Swiss economic and social interests. In addition to lawyers, there are small businessmen and housewives. They work as legislators under modest, egalitarian circumstances. There are no special perks, special entrances, or numerous staffers as one finds in the halls of the U.S. Congress. One could say that it is an “amateur” legislature. From the point of view of a true democrat, that is its greatest asset. There is no one all-powerful executive. Instead the executive comprises a committee of seven made up of the head of each ministry (cabinet posts in the United States), each of whom will serve as president for a period of one year. This committee of seven, which meets once a week, debates and then votes on policies. When visiting dignitaries come to Switzerland, they meet with all seven. There is no strong charismatic personality in charge. There is no executive veto power. Referenda and initiatives are built into the Swiss governmental pro­cess. All proposals for constitutional amendments or international treaties are subject to an obligatory ref­erendum. The citizenry must express its approval both via a majority vote on the national level and a separate majority vote on the cantonal level. Any Swiss law can be challenged within 90 days of pas­sage if 50,000 citizens demand that a popular vote be held.Finally, there is a popular initiative. With 100,000 signatures on a formal peti­tion citizens can demand a constitutional amendment or the removal or modification of an existing provision. For this initiative to pass, there must also be a double majority: one on the national level and the other on the cantonal or state level. Is it possible to live in a world at war, to pursue peaceful, independent policies and survive? Switzerland has not only survived. It has thrived. Switzerland proves that Nationhood without Statehood is a viable alternative. Iceland is a small plot of land (40,000 square miles) located between the North Atlantic and the Arctic Ocean. With a population a population of 332,529 it is the least densely populated country in Europe. Its parliamentary institutions go all the way back to 930 when the “Althing”(Alþingi) held its first outdoor meeting. For two weeks in June, people from all over the country gathered to celebrate and legislate. There were thirty-nine chieftains (goðar, singular goði) comprising the legislative council (Lögrétta). Chieftains had districts over which they presided. A free man could choose which of the goðar in his district to support.Goðar supporters were known as Þingmenn or “assembly people.” Þingmenn attended local and national assemblies. Goðar were responsible for reviewing and amending the nation’s laws. Once every three years the “Lawspeaker” (lögsögumaður) would make his way to the “Law Rock” (Lögberg) and recite the laws for the benefit of all those in attendance. Anyone could mount the “Law Rock” and address the gathering. This form of government — known as the Icelandic Commonwealth, Icelandic Free State, or Republic of Iceland — is reminiscent of the government set up in Kiev, in a similar time frame as well as 5th century democracy in ancient Athens. In Athens there was also a “law stone” known as the pnyx. Anyone could mount the stone and address the gathering. In mid-thirteenth century, power struggles emerged among the Goðar. The year 1220 marks the onset of a forty-year period of internal strife and bloody violence known as “Age of the Sturlungs,” after the most powerful clan in Iceland at the time. Iceland emerged in a weakened condition and in 1262 signed an agreement with the king of Norway, in which Iceland merged with Norway, and eventually Denmark. Iceland lived through hard times and became one of the poorest countries in Europe. The country was hit by the plague twice, once at the beginning and once at the end of the 15th century, carrying away as much as 60% of the population. The 16th, 17th and 18th century were not much kinder. Volcanic eruption released millions of tons of hydrogen fluoride and sulfur dioxide killing off 50% of the livestock, which led to famine and the death of 25% of the Icelandic population. In the 19th century the country’s climate grew colder. Out of a population of 70,000, 15,000 emigrated to foreign lands in search of warmer clime. Despite all of these hardship, Iceland began taking consciousness of itself as nation. In 1874, Denmark granted Iceland a constitution and limited home rule, which was expanded in 1904. In 1918 a twenty-five-year agreement was signed between Denmark and Iceland. Iceland was recognized as a fully sovereign state in union of Denmark. In 1944, Iceland became fully independent. Iceland’s earliest settlers were proud of the their independence and succeeded over the centuries in retaining their identity despite the wishes of their overpowering neighbors. In many key areas — education, healthcare, ecology, civic responsibility —Iceland has become an example of how a nation can serve its people, when that nation is free to pursue its destiny, independently of the warrior State. In the years 2003-2007 Iceland experienced an economic boom, based on shady banking practices. The boom ended in a bust when the economy collapsed and bankers expected to be reimbursed for their losses. Unlike the United States and other Western governments, Iceland did not reimburse the banksters for their bad debt. Instead, Iceland sentenced twenty-six of them to a combined seventy-four years in prison (See Syrmopoulus). The Icelandic government took over the three largest banks, let them run into bankruptcy and set up new banks on a solid financial basis. Geir Haard, prime minister at the time of the banking crisis was tried and found guilty of having failed to properly respond to the financial crisis. Iceland was the first country in the world to have a political party formed and led entirely by women. In 2009 nearly one third of parliamentarians were women as opposed to a global average of 16%. Iceland uses proportional representation to select governors and has an 80% level of participation. About 85 percent of total primary energy supply in Iceland is derived from domestically produced renewable energy sources. Iceland is one of the few countries that have filling stations dispensing hydrogen fuel for cars powered by fuel cells. According to the Economist Intelligence Index of 2011, Iceland has the 2nd highest quality of life in the world and one of the lowest rates of income inequality. Iceland has a universal healthcare system. There are no private hospitals, and private insurance is practically nonexistent. Over all, the country’s health care system is one of the best performing in the world. Infant mortality is one of the lowest in the world. Iceland is a nation, not a State, and offers us a robust example of good government, a government that is responsive to the needs of its citizenry and accountable for its conduct. Unfortunately, government around the world, especially the United States, stands in stark contrast to what is happening in Iceland. Our educational and healthcare systems are in decline, our infrastructure is crumbling. Our government is obsessed with war and concerned with little else, which makes sense if you consider the origin of the modern State. As we see in Part 3, the modern State has its origins in barbarism. War making Germanic tribes descended into Europe, wreaking havoc as they went. Eventually they settled down and established stable societies. Incorporated into these new societies were the war making practices that the barbarians brought with them. The endless wars we fight today are simply a continuation of the barbarian tradition established more than a thousand years ago. 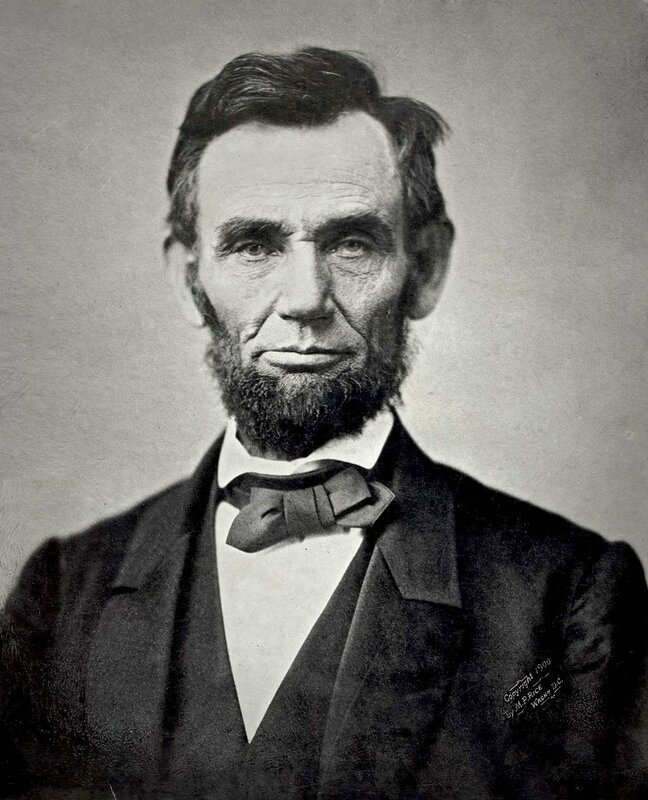 See Arthur D. Robbins, “Back To The Future: The Legacy of Abraham Lincoln,” Intrepid Report, September 29, 2015. Back to the future: The legacy of Abraham Lincoln | Intrepid Report.com See Thomas J. DiLorenzo, The Real Lincoln. See “Selected Death Tolls for Wars, Massacres and Atrocities before the 20th Century” Twentieth Century Atlas – Historical Body Count – Necrometrics for some of the details. Arthur D. Robbins is the author of “Paradise Lost, Paradise Regained: The True Meaning of Democracy,” hailed by Ralph Nader as an “eye-opening, earth-shaking book,… a fresh, torrential shower of revealing insights and vibrant lessons we can use to pursue the blessings and pleasures of a just society through civic efforts that are not as difficult as we have been led to believe.” Visit http://acropolis-newyork.comto learn more.